Beautiful three bedroom town house available for sale on Evesham Road. Packed with period features, but decorated to a high standard in a contemporary fashion, the property comprises entrance hall, large family room, kitchen / diner, downstairs WC and two stores downstairs, with three double bedrooms and bathroom upstairs. The property also benefits from a boarded loft, central heating, double glazing, an attractive garden and is situated within the catchment area for local schools. 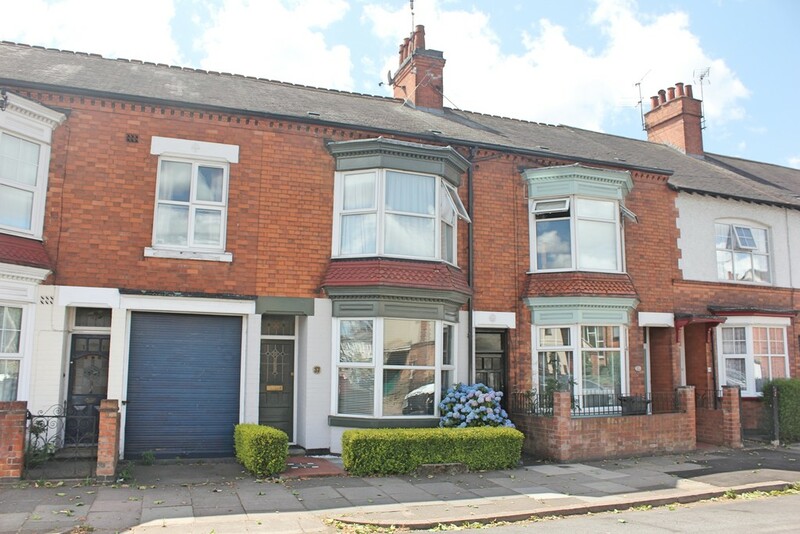 Beautiful three bedroom town house available for sale on Evesham Road. Packed with period features, but decorated to a high standard in a contemporary fashion, the property comprises entrance hall, large family room, kitchen / diner, downstairs WC and two stores downstairs, with three double bedrooms and bathroom upstairs. The property also benefits from central heating, double glazing, an attractive garden and is situated within the catchment area for local schools. ENTRANCE HALL With tiled flooring, dado rail and coving, with access to the family room and stairs to first floor. FAMILY ROOM 26′ 4" x 10′ 7" (8.03m x 3.23m) With double glazed windows and radiator to the front elevation, double glazed door and radiator to the rear elevation, TV and satellite points, period fireplace, period wood burner, coving and ceiling roses, access to the kitchen diner. KITCHEN/DINER 21′ 3" x 8′ 6" (6.48m x 2.59m) With double glazed bay window and window to the side elevations, tiled flooring, radiators to the front and side elevations, TV point, German made kitchen with floor and wall mounted units, tiled splash backs, sink and drainage unit, integrated dishwasher, plumbing for washing machine, both electric and gas hobs, with extractor hood, electric oven and access to the downstairs WC, stores and garden. WC With low flush WC and wash basin. STORE With shelving for use as store or pantry. 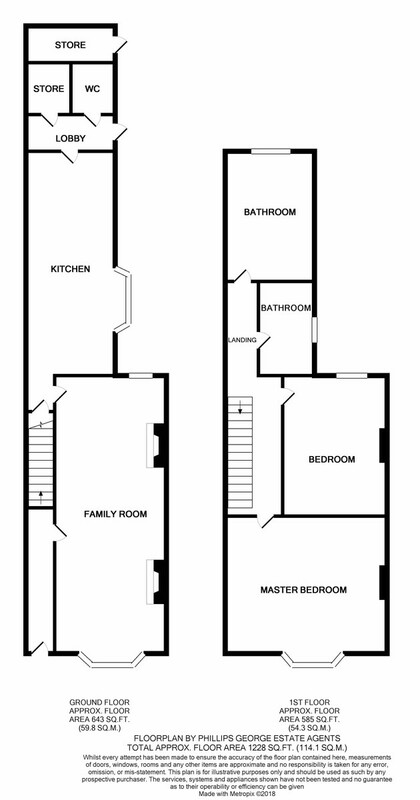 MASTER BEDROOM 15′ 4" x 13′ 0" (4.67m x 3.96m) With double glazed bay window to the front elevation, radiator to the front elevation, twin built in wardrobes,TV point. BEDROOM TWO 12′ 11" x 9′ 9" (3.94m x 2.97m) With double glazed window and radiator to the rear elevation. BEDROOM THREE 11′ 11" x 8′ 6" (3.63m x 2.59m) With double glazed window and radiator to the rear elevation and built in wardrobe. BATHROOM 8′ 11" x 5′ 4" (2.72m x 1.63m) With double glazed window to the side elevation, bath with stainless steel tap corner unit, shower from mains, tiled splash back to ceiling, wooden flooring, washbasin with vanity unit, wall mounted mirror and unit, heated towel rail, low flush WC and extractor fan. LOFT With majority flooring, lighting and step access through loft hatch. OUTSIDE To the front: short hedge with shrub and path to front door, to the rear: with paved area leading to patio and lawned garden, red brick borders and shed.